Schaefer Ventilation Equipment, a manufacturer of ventilation and thermal-comfort products, has opened a new distribution center in Atlanta, Ga., to increase efficiency and provide faster service to dealers. 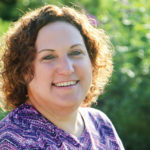 Additionally, the company has added a new staff member to its agricultural and horticultural division. The new Atlanta Distribution Center offers customers quicker deliveries on Schaefer products like Americ confined-space ventilators, WayCool portable evaporative cooler, Versa-Kool mobile drum fans and heavy-duty pedestal fans. All orders will continue to be processed through Schaefer’s Customer Care Center or through the Schaefer website (schaeferventialtion.com) and then ship from the Atlanta Distribution Center as appropriate to existing operations in Georgia, Florida, Alabama, Mississippi, Tennessee, North Carolina and South Carolina. In Schaefer’s Agricultural and Horticultural Division, new staff member Rico Garay will focus on expanding the Latin American markets in agriculture and horticulture while working to support the already established business in these areas. He is a graduate of North Dakota State University with a Bachelor of Science in Spanish and a minor in business administration. Through his studies he had the opportunity to attend Tecnológico de Monterrey in Monterrey, Mexico, and speaks both English and Spanish. 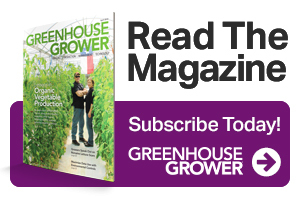 Janeen Wright is managing editor for Greenhouse Grower. You can email her at [email protected]. See all author stories here.